“Thanks to CoLaborers, I finally have a daughter! Sponsoring a child has been such a blessing, I love getting letters from her & seeing pictures of her & watching her grow… She’s already grown so much this year! It’s such a blessing to be part of such a life changing organization” – Katie, child sponsor Child sponsorship is one of the most effective ways to change a child’s life for the better. Read Christianity Today’s article here. Support children being reached by Hope for India and impact their future. Soon you will be learning their favorite bible stories, sharing their hopes and dreams and encouraging them through your letters. Your giving matters, you are the only sponsor for your child. CLICK ON EACH TOPIC BELOW TO EXPAND THE CONTENTS. CHILD DIGNITY The children we assist are not to be objectified or de-humanized. The lives of all people, regardless of status, should be portrayed with accuracy and dignity. We believe that the children we assist are partners with us in the process of bringing holistic (spiritual, physical, psychological and social) positive change to their communities. Child sponsorship is not only an investment in their education, but also in the future leaders of India. CHILD PROTECTION Privacy demands that children, their families and communities be protected from any potential inappropriate contact from sponsors or others. The children we assist must feel safe, knowing that CoLaborers International protects the integrity of how their personal information – including photographs – is shared for the purpose of obtaining child sponsors. We take even the potential abuse of child photographs on the web very seriously and it will not be tolerated. If we feel that a child’s protection, security and dignity have been violated in anyway by a sponsor – we have the right to immediately terminate communications and sponsorship. CHILD SECURITY Children have the right to be completely secure from the fear or reality of any potential abuse (either physical or emotional) resulting from an inappropriate contact by a sponsor or any other person. WRITING LETTERS Send to our office for translation– Mail to: CoLaborers International c/o Child Sponsorship Program P.O. Box 959 Chestertown MD 21620 Please write the name of child & ID NUMBER on back of envelope and on top of letter Be aware that ALL letters are screened for appropriate content before being sent. NEW! You can also email in your letters and pictures to CoLaborersInternational@gmail.com SENDING PICTURES Please send pictures no bigger than 4 x 6, as larger ones will not fit into a standard envelope and will inflate mailing costs. Please only send pictures where people are fully clothed (i.e. – no bathing suit pictures, shirt less pictures, etc…). Please take care to cover shoulders, cleavage, mid sections, your bottom and thighs in all pictures. Please send pictures that are sensitive to their financial situation – taking care not to have expensive electronics, laptops, tvs, large quantities of food, etc… in the photo with you. Be aware that ALL pictures are screened for appropriate content before being sent. I WANT TO SEND A GIFT TO MY CHILD Due to high import duties and restrictions by various foreign governments, packages cannot be sent to sponsored families. HOW LONG WILL IT TAKE FOR MY SPONSORED CHILD TO REPLY TO MY LETTERS? It’s common for a reply to take three to four months. Long distances, remote locations, and inadequate postal services can make for slow communication. Also, consider that because the children all speak Telegu, translation is necessary and takes time. So please be patient and feel free to write again, even if you’ve yet to receive a reply. FISCAL RESPONSIBILITY CoLaborers International is a 501c3 nonprofit organization. We make annual reports each year to the IRS on use of funds. The Indian orphanage that is participating in the child sponsorship program is a registered society with the Government of Andhra Pradesh. WHAT DOES MY MONEY GO TO PAY FOR? food & shelter, school uniforms, monthly doctor visits and medication HOW DO I KEEP TRACK OF MY CONTRIBUTIONS? We will send you quarterly statements and at the end of the tax year (January 31st). These are sent to the address provided by your checks or the physical address or email address associated with your PayPal account. 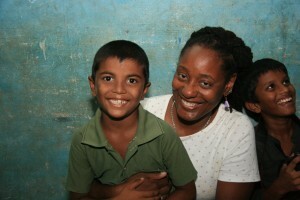 Sponsorship contributions to CoLaborers International are tax deductible. Be sure to keep your statement; this is your only legal receipt for income tax purposes. 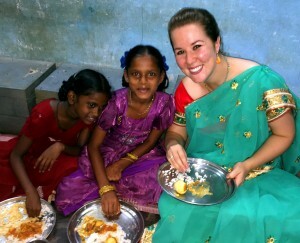 Your prayers are so very important to the success of this work; building a brighter future for orphans in India. As you find out more about the living situation of your sponsored child, you’ll discover specific needs for which you can pray.